Welcome to Mohawk College Library's APA Guide. Designed to help you with APA citations, this guide is a good place to start and also provides Quick Links to more resources. For more information, visit the library or contact us! Tip: First, identify the format of the resource you're citing, and find it in the menu on the left. 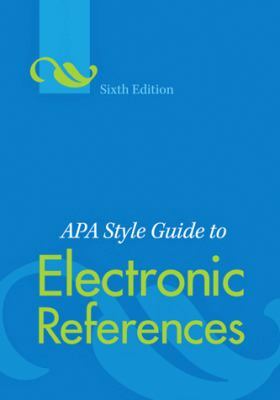 A PDF which contains all of the APA rules for citing any electronic/online resource. This is the official publication for APA style formatting. One of the most trusted and comprehensive APA formatting guides, available online from Purdue University. The official companion to the APA Manual. It's run by a group of experts who work with APA Style every day.